MJL - Men's Multi-Faceted Gold Ring This clean-cut men's ring is ideal for anyone who is looking for a sophisticated wedding band that is modern and stylish. 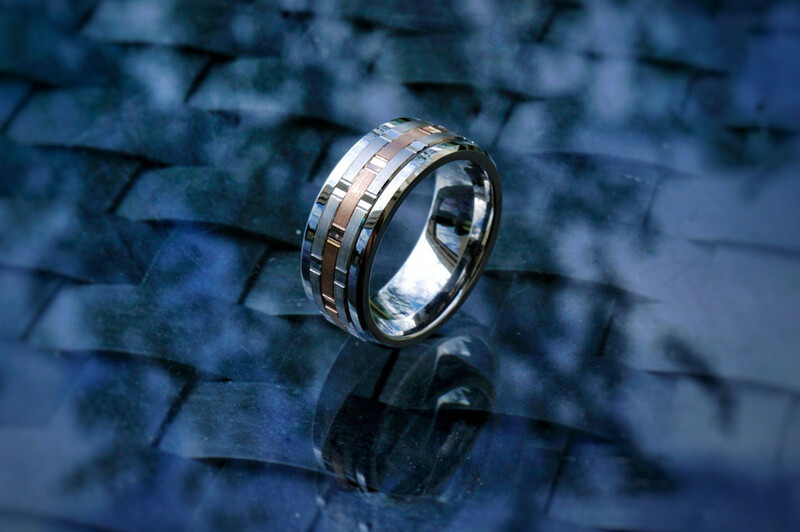 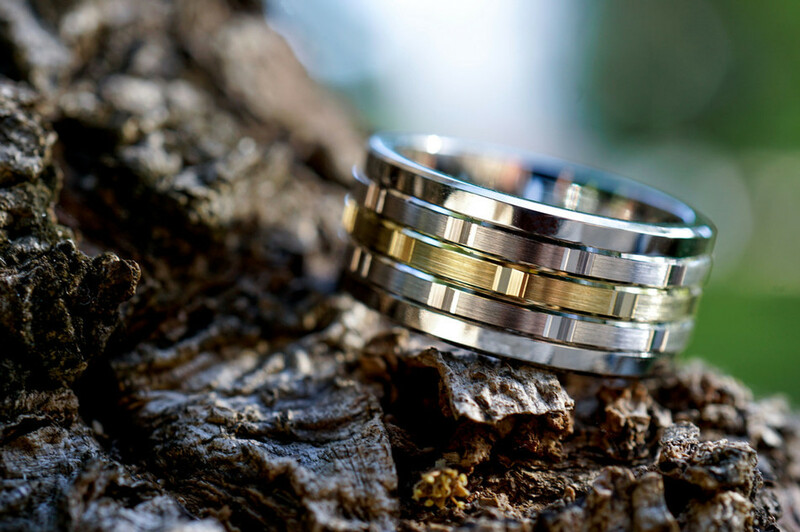 The 9mm or 11mm Tungsten ring, Ceramic ring, or Cobalt ring features three gold inserts; two white gold and one of your choice. 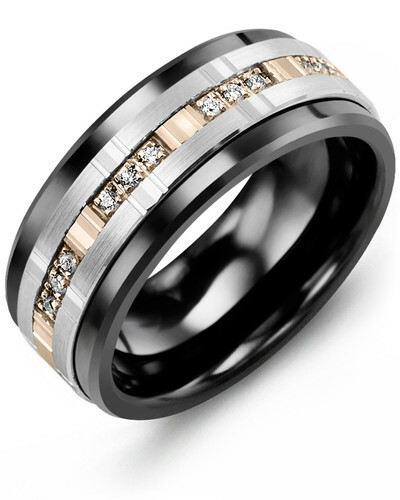 You can choose from all white gold, a yellow gold middle insert or a rose gold insert, as well as 10kt, 14kt or 18kt options. 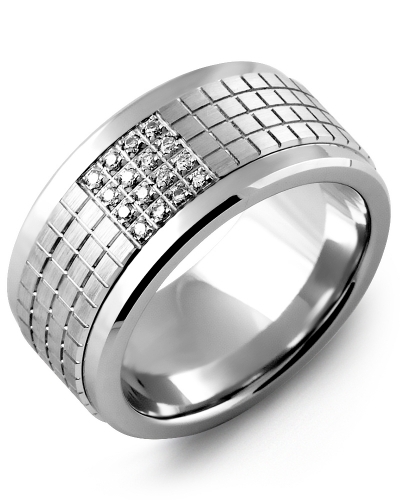 Complete your personalized ring with our engraving service. 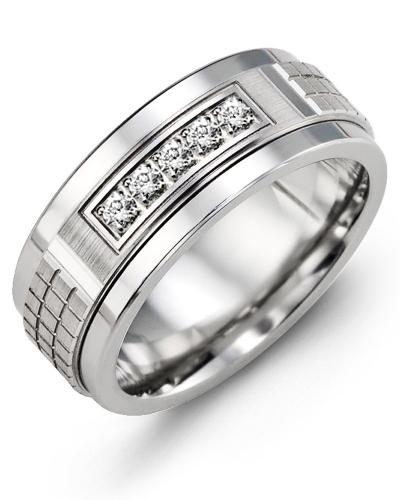 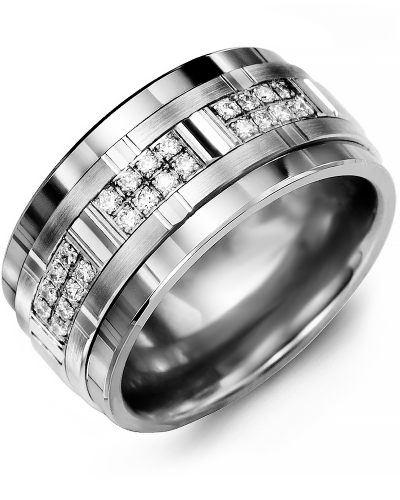 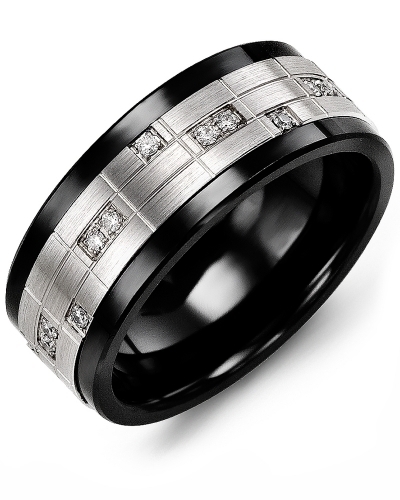 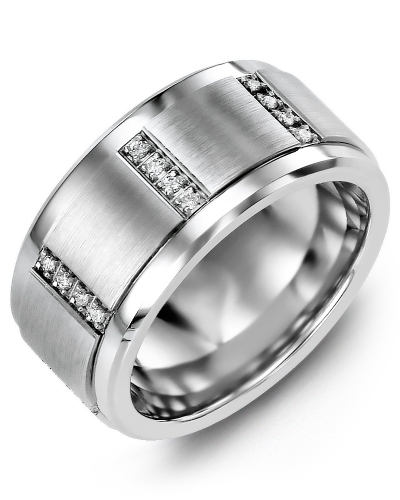 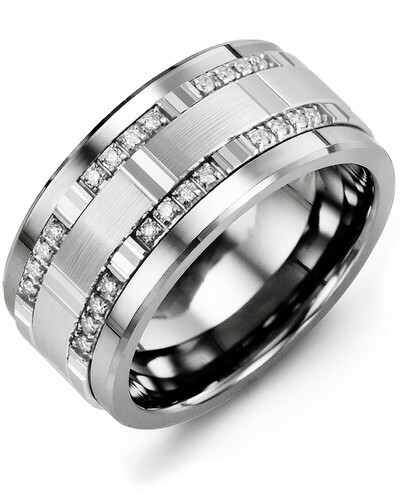 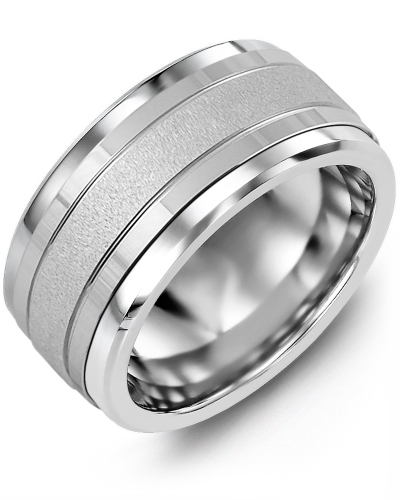 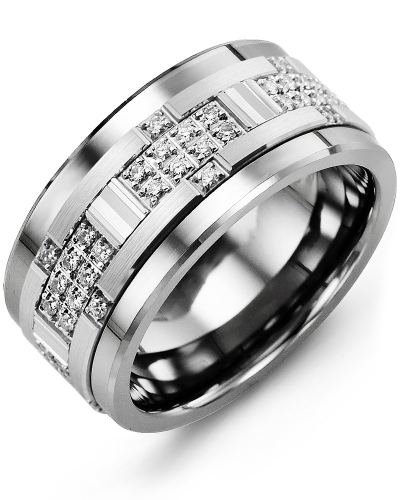 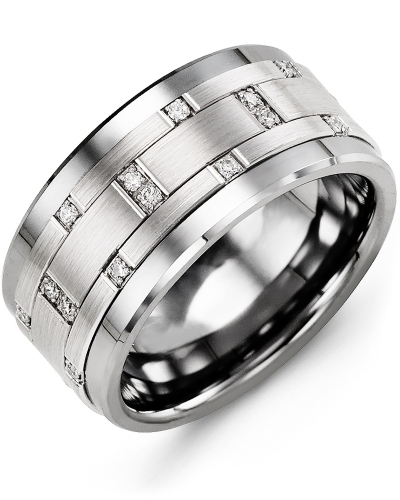 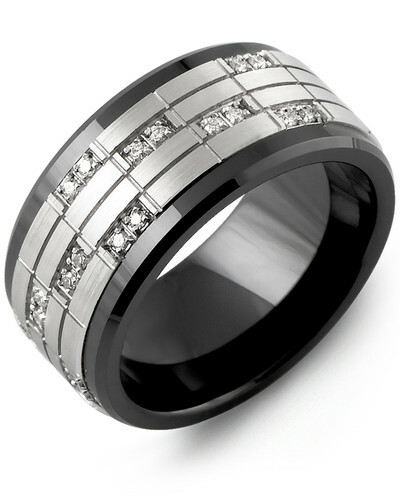 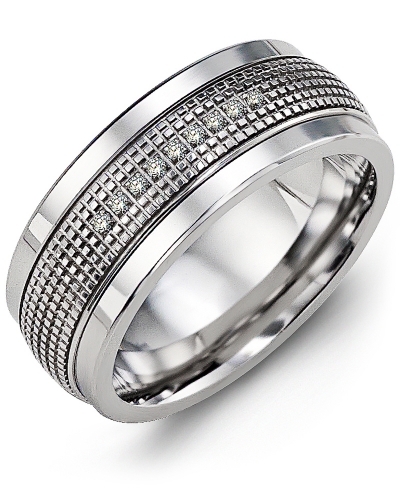 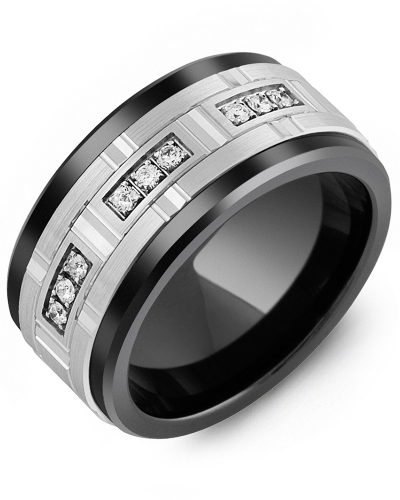 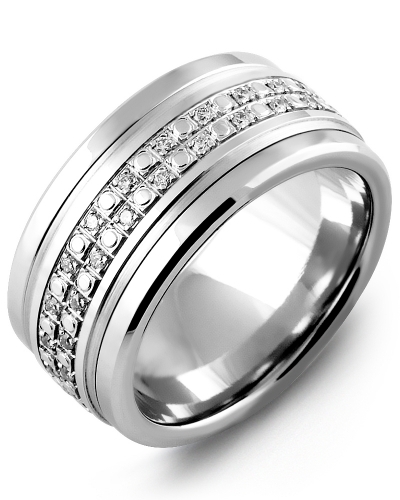 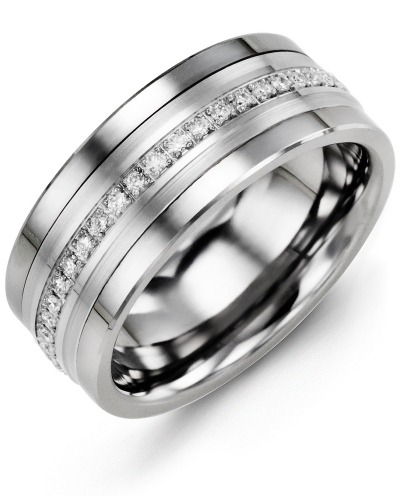 This clean-cut men's ring is ideal for anyone who is looking for a sophisticated wedding band that is modern and stylish. 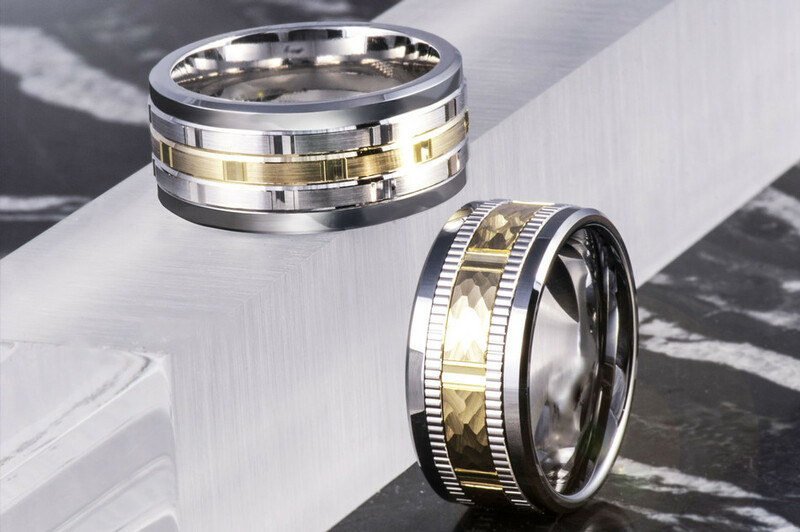 The 9mm or 11mm Tungsten ring, Ceramic ring, or Cobalt ring features three gold inserts; two white gold and one of your choice. 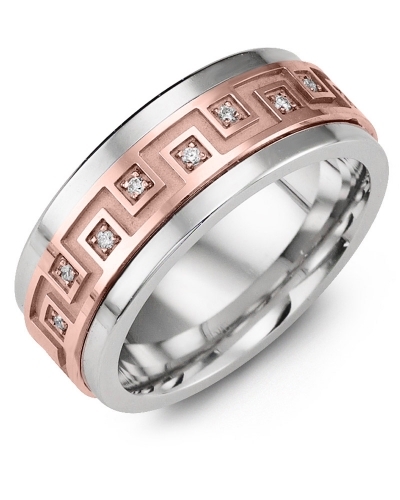 You can choose from all white gold, a yellow gold middle insert or a rose gold insert, as well as 10kt, 14kt or 18kt options. 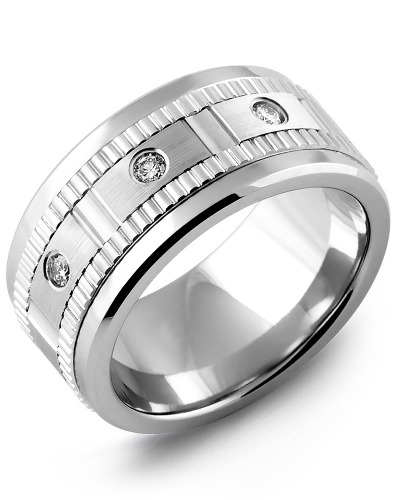 Complete your personalized ring with our engraving service.